Thank you, RevJames, for helping with requests from foreign board members! We seem to have hit a patch of folks from Africa (the only place to which we do not ship) who think that we supply free recipes. Another forum member (i thnk it may have been Pyromancer) alerted me to this several days ago, and i have been working through their cases, one by one, and, i hope that with your help we have cleared our case load of these intrusions. These African requests are frustrating for me, because i do want to help, and the folks who are asking went to great trouble to join the forum and get through the approval of three preliminary posts, and they are interested in folk magic -- but their requests are so precise and so wrong ("I want your recipes and i will not buy your goods") that i always have to take a moment to breathe and calm myself and understand that what is happening is not a case of rudeness or greed or parasitism, but simple confusion. The folks from Africa actually believe that we will give them our proprietary recipes. They are sincerely asking. Many of them have English as a second language, and some of them need to have the realities of this forum explained more than once. The truth is that we simply cannot help them. Unless they arrange for trans-shipment of their goods (as many of the Chinese and some of the other Africans do), we cannot serve them. Thank you for steering these folks to our books on Amazon -- a good touch, because Amazon will ship books to African nations, i believe. That way they can learn on their own and help themselves. Africa has a deep and vital stream of folk magic, and it would be lovely if one or more of these African practitioners decided to tap into that local current, study with a local root doctor, and write books on African folk magic for the rest of the world to read! Thanks to you as well Ms Cat! I completely understand the want to help people, as we spoke about on the phone I'm very passionate about helping others as well, and to help you guys at LM. I have seen the many posts lately about asking for recipes, and from the way some of the posts are written one can infer that English isn't their first language. Luckily there is google translate but even I know that is not perfect. There are many times I've had to use it and use context clues to figure out what was being said, but then again I'm fascinated by language so the challenge is fun to me, and educational not only in the content i'm reading about, but the language itself and the culture it comes from. What many people fail to realize though is that you give away SO much FREE information if people would only take the time to read. And that information is there for everyone, publicly on line. And of course all the thousands of posts here on the forum. Even if you can't serve them in terms of products, you are still a FABULOUS resource. Granted the books and HRCC (Hoodoo Rootwork Correspondence Course) delve deeper into the work and how-to's for people to help themselves and/or become a professional rootworker respectively, the information provided on this and affiliated websites is really all you need to be able to help yourself. Now that the books (besides the HRCC of course) are available from amazon, all the "deeper" information is much more easily acquired for those that don't live in the US. Then the only excuse becomes, they want it now. Instant gratification. One of the phrases that burns my chaps is "...I don't have time to read all this..." or "...there are too many posts to read through..." To which my thought is, "If I can do it, so can you." I would certainly love to see more folk magic/practices books coming from Africa (especially North and West Africa, personally, as these are areas from my recent DNA test results, though less than 3%) even if they were in a different/local language! As always I'll do what I can to help anyone and everyone on these forums but I won't share copyrighted material or spoon-feed people; what I will do is help people help themselves, or point them in the direction of someone qualified to help (Such as those at AIRR and Hoodoo Psychics). Thanks, RevJames for the information on Amazon shipping internationally. That will help some folks to know. 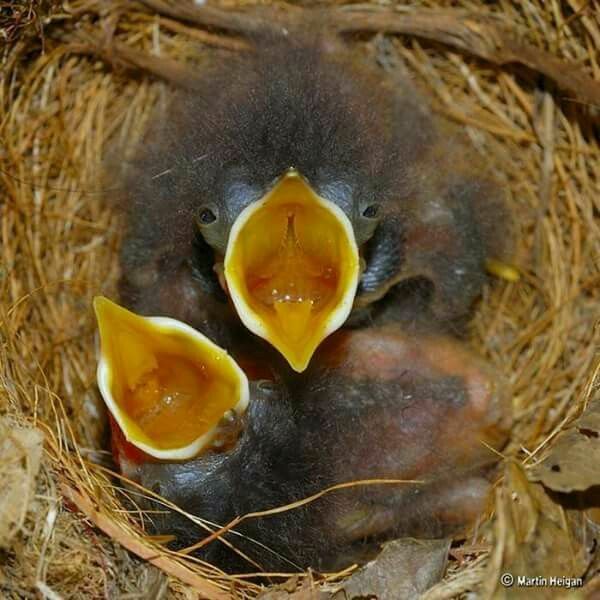 And, yes, you get it -- some folks come here like hungry little featherless birds in a nest, all closed eyes, wide open mouth, and screeching for help. LOL! "Why can't this be avoided?" Because of governments. Yours and ours. Governments charge customs fees. We may all wish it were not so, but they've been doing it for years. i have an question. Why you put not the bill outside the package? . Dont know in all countries, but in Germany DHL can only delivery directly, if the bill is ouside, then they handle all the custom things. But if is inside, i need alwas walk to custom office and open the things in front of them, to show them the bill. After last order i remember first time, and wrote shop and ask to put bill outside. But got no answer. Perhaps with your next order you could put this request in the Special Instructions section of the order form? Or call the shop after you place an order and explain the situation: 707-887-1521. Right now 90 percent of orders are shipping in 3-4 days. I was exchanged few emails 2 days ago with shop and Nicole told me- "Your oder is currently in production and you may call us to check on your order ". l don't want to bother her, l don't want Nicole to be nervous why I'm asking, but I'd like to know when the parcel will be sent, so l can to calculate the approximate time when I can expect it. I'm so stuck and I do not know what's going on...last time when l ordered,and when they shipped parcel l received mail with the number for tracking the parcel. Now I'm told that they do not send mail for every shipment they send out... .too bad . I know that there is no "factory"...for making suplies..and that is all hand-made ..and when I looked at the photos of shop l saw full shelvess of goods...like no one need to wait so long ..everything is there and it can be sent..
Hello, and i am sorry there has been a delay with your order. We have not yet made 3 of your sachet powders. I will see that they are made as soon as possible. I do not wish to give out your email address, but as a site administrator, i do see it -- and the funny thing is that the client who was connected to that email in our client database and lives in eastern Europe has not ordered from us since 2012. But when i looked up all the clients we have ever had from that eastern European nation, there are only 3 clients -- so i found your recent order -- with a new (different) client record because we had a new spelling of your first name (no "h" this time), a new address, and a new email -- although in the same city and same nation! I merged your two client records and updated all of the data. I have put BOTH spellings of your first name in the record. Although we do not automatically send tracking numbers with packages, you can request a tracking number when you order by placing your request in the message area of your order and asking that this request be attached to your permanent client record. I have added that request to your client record. Tnx Miss Cat for your reply...as l told.. no probl l will wait.. . l need that amazing products from your company .. Yes l was ordered in 2012. .. and yes,in my language l using some other letter (when my name is pronounced to be heard as "sh")..so sometimes i wrote only with "s" sometimes with "sh".. I followed the instructions given to estimate the USPS international shipping rates for my order, but I'm still confused because the estimated costs range from $30 to $130. Can someone who has place a recent international order please tell me which shipping options shown by USPS LM actually uses? I'd like to go with the cheapest option "First-Class Package International Service" but reading these posts I got the impression that maybe LM only uses the flat-rate boxes? Ophio, they use the cheapest I think unless you specify which one you want. If you want that particular one you need to write it in the order box. I'm in Australia, first order postage cost me $35, that one was mostly herbs, and a few bottles of oils and wash. Second order postage was $85 - that one had a glass encased candle in it. The prices work out to around $20 and $60 in USD and I am pretty sure only the second one was a flat rate box. They are very helpful and can advise you better than we can on the forum. I'm sorry I don't know if it's okay to ask this question here. I've been buying from Lucky Mojo for a long time now and have always used the 12 Hoodoo special. Since I live outside the US and shipping and taxes are very very high - 12 at once is perfect for me. But now for the first time I've been told that Mercury, and a couple of Zodiac oils I've asked for cannot be included in the general 12 oils offer. I can't afford to buy more and then there's no point me ordering here at all when these are the oils I need for my conjure work. I'm trying to understand how come they're not a part of the same offer? Considering the price is all the same. Just seems a bit weird to me. Especially as I have been ordering for years and never came across this issue before..
That would be a question for the shop. We can't advise on their pricing policy, so please contact Lucky Mojo directly at order@luckymojo.com and they can guide you on how to best order what you need. I am sorry that folks at the shop could not explain this to your satisfaction. It is part of our standard policy and training for all staff. If a mistake was made on one of your orders in the past by inadequately trained staff, the mistake were theirs and does not reflect a company policy change, for the policy is well-known and has appeared on our web site for 20 years. Each of our 12-oil, 12-sachet-powder, 12-incense-powder, or 12-bath-crystal discount specials is based on the SINGLE CATEGORY in which the products fall. These specials are within product categories and do not cross product category lines. This helps us with inventory counting, physical stock-shelving, and scheduling of product manufacture. Taking advantage of stock-shelving location when pulling products saves us time, and THAT is what allows us to save you money by creating the discount specials in the first place. We are satisfied that this discount system allows us to give the most discounts to the most people. * You can remake your order so that you list 12 items in the same category (with or without other items "on the side" at full price). * You can allow us to charge the 12 items you ordered at full price (no 12-item special / no discount). * You can cancel your order. Please let us hear back from you so that we can proceed. I have asked them to cancel my order. It is already so expensive to get here that ordering oils I don't need for the sake of discount, and adding ones I do on top of that, just comes out as too expensive. I understand. Overseas orders do come at quite a price. US customers always tell us how reasonably prices our oils are, especially since they are all hand-made, and overseas customers usually comment on how high the prices are, especially with extra shipping charges and sometimes added customs fees. We just do the best we can, and consider our overseas clients to be unusual guests to our little world, which is stuck in time and space somewhere back in America's rural past, when the mail carrier brought you exotic treats ordered all the way out from "Californi-yay." Have the international postage rates increased recently? My latest one just came out of my card and it's a bit more than I expected for the small amount of things I purchased. It shouldn't have weighed very much either. Not having a go in any way at Lucky Mojo, just will need to budget a little different if the postage costs are going to be this high. Our postasge rates increased all away around this year -- both within the USA and to foreign countries. Sorry, there is nothing we can do about it. Thanks Miss Cat, please don't apologise! Not your fault at all. Just going to need to budget a bit more for postage which means no impulse purchases for me haha.